The last item listed in our 5-Step Insurance Process for Sports/Recreation Organizations is Loss Analysis and Rate Justification. This is a crucial topic that is often misunderstood by insurance decision makers of sports and recreation organizations. They often think that they need research the market to get a quote when, in fact, their current carriers may already be offering a fair premium. But how can you tell without going to market? Your carrier premium and loss runs should be summarized in a chart. This should show premiums, incurred losses (includes paid losses, reserves set in anticipation of future payments, and claim expenses) and loss ratios for the current year and four prior policy years. Loss ratios are computed by dividing incurred losses by premiums. A loss ratio of about 60 percent is generally considered to be the break-even point. In other words, insurance carriers lose money when loss ratios exceed the break-even point. As a rule of thumb, loss ratios that exceed 60% may indicate the need for a rate increase or non-renewal. Loss ratios that are well under 60% may indicate that the sports organization deserves a rate reduction. By the use of simple algebra, a rate change factor can be computed to achieve a target loss ratio. First, most individual sports and recreation organizations are not statistically large enough to be rated on their own premium and loss experience. As a result, most are class-rated based on the aggregate results of similar sports organizations. When class rating is used, the rates tend to stay within a range with small deviations allowed for above-average or below-average loss experience. Second, losses shown on carrier loss runs tend to be immature and understated since they have not been adjusted for trending medical inflation or loss development. Rate justification analysis requires more accurate loss information than what is shown on carrier loss runs. Additional trending and loss development analysis is required to show how the insurance carrier underwriters view the real profitability of the policy. The ultimate loss ratios will have a bearing on the carrier’s decision to non-renew a policy or to apply rate changes. The first adjustment is to convert past loss amounts into current dollars. Appropriate trending factors should be applied to losses from past years to account for price inflation for medical care and other claim expenses. As a rule of thumb, an annual medical inflation trending factor of 5 percent is commonly used. The second adjustment is to predict how loss amounts will mature over time. Appropriate loss development factors should be applied to losses from past years to account for unknown and unreported claims that may be reported in the future and for the likely under-reserving of known claims. Applying loss trending and development factors often has the impact of greatly increasing the loss dollars over and above those that appear on the carrier loss runs. Therefore, an account that appears to have an acceptable loss ratio may, in fact, be a money loser for the insurance carrier after the losses have been adjusted. The loss trending and loss development factors for rate justification are often accurate on a macro basis for an insurance carrier’s entire book of business. However, they are often not accurate for an individual account. Insurance carrier underwriters often make self-serving assumptions when applying trending and loss development factors and when analyzing claims with open reserves. These assumptions can result in requests for unwarranted rate increases. 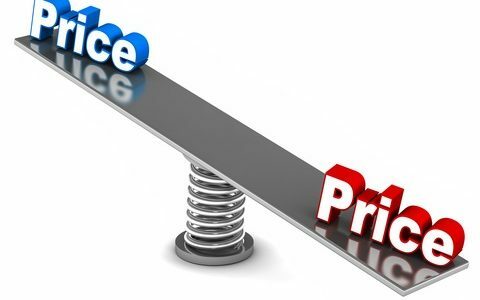 Savvy insurance agents must understand rate justification analysis techniques and their strengths and weaknesses in order to negotiate with underwriters. Armed with this knowledge, insurance agents can effectively negotiate rate increases or decreases where warranted. Unfortunately, most insurance agents don’t have an understanding of these techniques and are at the mercy of the carrier underwriters when representing their clients. We offer much more information on this and other topics for free in our risk management library, as well as our comprehensive checklist, Has Your Insurance Agent Provided These Services?